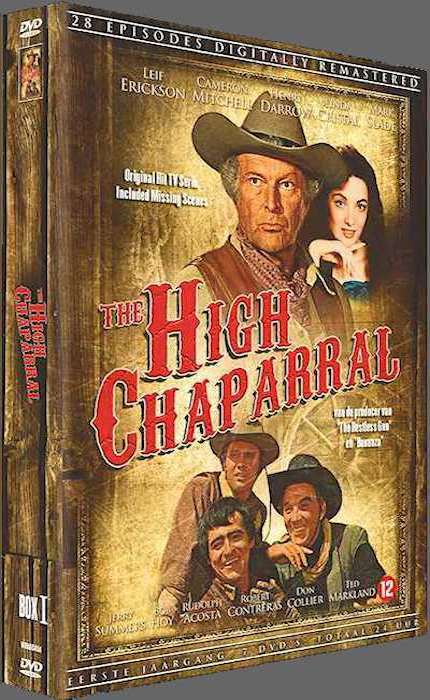 Exclusive on INSP cable network, - The High Chaparral is back on TV beginning September 15th! Enjoy an all-day marathon beginning at 1:00pm ET on Saturday, September 15th. Then High Chaparral joins the INSP Saddle Up Saturday line-up beginning September 29th and also is scheduled to air in the Monday-Friday lineup. Fans of The High Chaparral send a huge thank you to INSP for putting our favorite western back on television. The folks at INSP are big HC fans, and just as excited to carry High Chaparral as fans are to see it again. They asked editor Penny McQueen to write a guest piece for their online blog - the final article appears here. 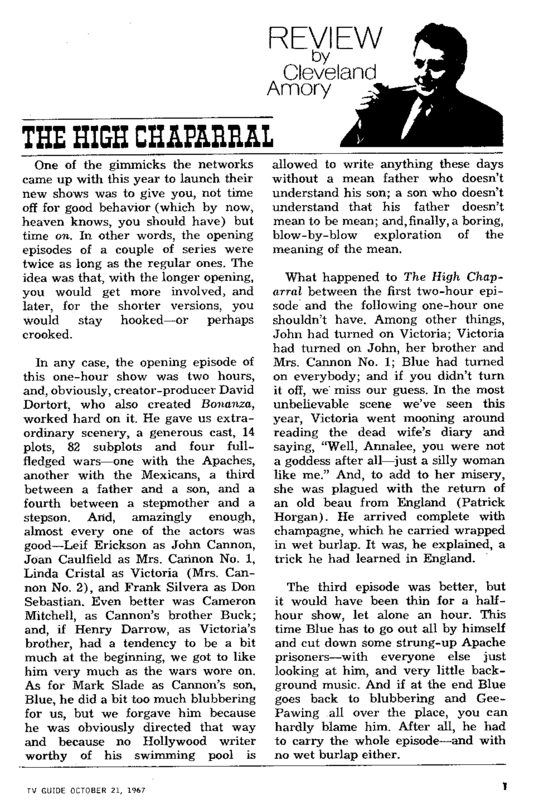 On a Sunday night in 1967 American television viewers went to The High Chaparral. For some of us, televisions westerns would never look quite the same. 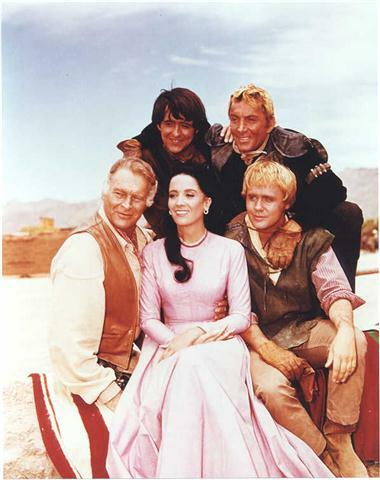 Filmed on location in Tucson, Arizona, High Chaparral intentionally brought reality into living rooms. No artificial back lot sets, and the casting office purposefully sought out Hispanics and Native Americans then put them in roles that were unbelievable for the era – aristocratic, well-educated landowners, American Indians with a purpose, culture and reason to fight for their land. Dirt was everywhere, cows came in actual herds, and the cowboys….were scruffy. And sweaty. The heat sent viewers to the kitchen for extra iced-tea. Reviewers loved it. “Gritty!’ became the calling card for High Chaparral and no wonder, with all that Arizona sand. Fans fell in love too – with the dirt, sweat, cowboys and stunning cinematography. Every week scripts delivered with themes on the generation gap, racial prejudice, step-child resentment for a new parent, a grown son’s lack of responsibility and his father’s manipulation. There was high drama, low comedy, and lots and lots of guns, knives, redeye whiskey and fists. 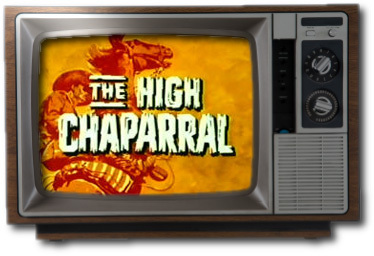 This Saturday, for the first time in years, maybe decades, The High Chaparral rides across television screens. For fans who memorized the Cannon ranch house outpost in the middle of Apache territory, Saturday is an official holiday. We’re turning off ringers, unplugging land lines on phones, locking doors, closing laptops. Saturday it’s time to watch John Cannon re-claim his ranch, hang the wind chime with Anna Lee, send Buck, Blue and the bunkhouse boys out to round up the first batch of mustangs. It’s time to hear them name the ranch after the scrubby brush, wipe away a tear when Blue buries his mother, see Manolito’s double-dimple grin, be awed at the beauty of Victoria, and marvel at the best cowboys-and-indians attack scene ever filmed. For the cast and crew, Saturday gives the priceless gift of getting to see their creation again. They’ll recognize the genius who choreographed individual stunts, the legend who took the high dive off the roof, and remember the casting call that gave them their big career break. They’ll make phone calls to reminisce about playing cards on location between shots, recall rattlesnakes in the brush and fan groupies hiking through the desert to get to the set. They’ll remember the reality – the dust, sand, and 104 degree heat. Along with the fans, they’ll watch and marvel at what they made – a truly classic television western. 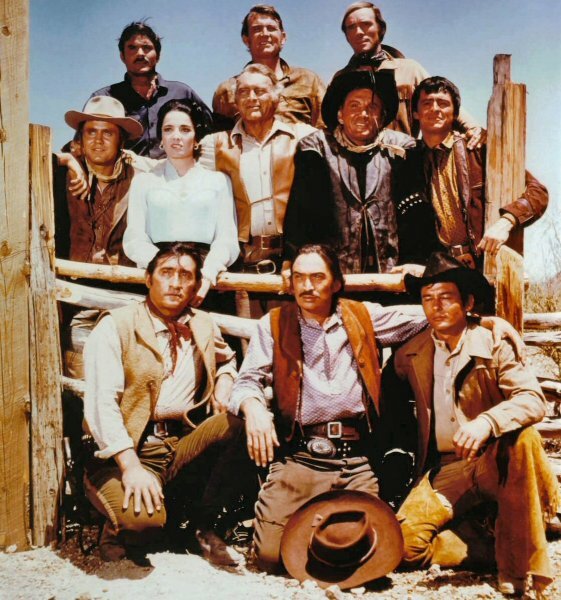 The High Chaparral ran from 1967 to 1971 and was widely honored as a ground breaking, innovative western. Today it has active fans around the world who still enjoy the show. It’s been unavailable for years, but INSP is bringing it back all day on Saturday, September 15th – join the party on the ranch with the rest of us. 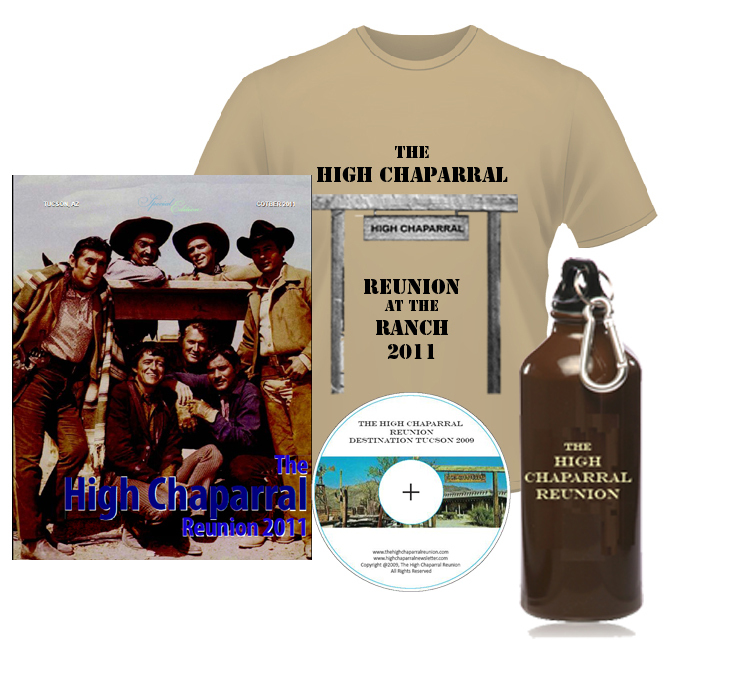 Reserve your space at The High Chaparral Reunion 2013 now! Fan Ronnie shared this story of his memories of HC - didn't we all imagine ourselves on the ranch back then? When I was in elementary school, which was in the late 60's, early 70's, I watched the original shows, then the reruns, which ran every night, before I went to bed in the early 70's. Great way to end a day. It was one of my favorite shows as a kid. 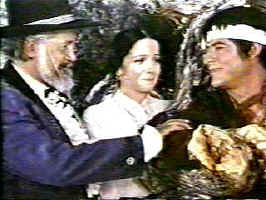 We would often play High Chaparral outdoors and I always played Manolito. And invariably at some point, I would always get shot with a flesh wound requiring me to tie my bandana around my head. As a kid, it seemed to me that every time Manolito got shot, it just did scrape his head requiring the bandana. I'm sure it wasn't nearly as often as I remembered, but whenever we played it, BANG, off came the bandana, which I tied around my head as I rode my imaginary horse after the bad guys. Lots of good memories. One of the gimmicks the networks came up with this year to launch their new shows was to give you, not time off for good behavior (which by now, heaven knows, you should have) but time on. In other words, the opening episodes of a couple of series were twice as long as the regular ones. The idea was that, with the longer opening, you would get more involved, and later, for the shorter versions, you would stay hooked – or perhas crooked. In any case, the opening episode of this one-hour show was two hours, and, obviously, creator-producer David Dortort, who also created Bonanza, worked hard on it. He gave us extra-ordinary scenery, a generous cast, 14 plots, 82 subplots and four full-fledged wars – one with the Apaches, another with the Mexicans, a third between a father and a son, and a fourth between a stepmother and a stepson. And, amazingly enough, almost every one of the actors was good – Leif Erickson as John Cannon, Joan Caulfield as Mrs. Canon No. 1, Linda Cristal as Victoria (Mr.s Cannon No. 2), and Frank Silvera as Don Sebastian. Even better was Cameron Mitchell, as Cannon’s brother Buck; and, if Henry Darrow, as Victoria’s brother, had a tendency to be a bit much at the beginning, we got to like him very much as the wars wore on. As for Mark Slade as Cannon’s son, Blue, he did a bit too much blubbering for us, but we forgave him because he was obviously directed that way and because no Hollywood writer worthy of his swimming pool is allowed to write anything these days without a mean father who doesn’t understand his son; a son who doesn’t understand that his father doesn’t mean to be mean; and finally, a boring, blow-by-blow exploration of the meaning of mean. 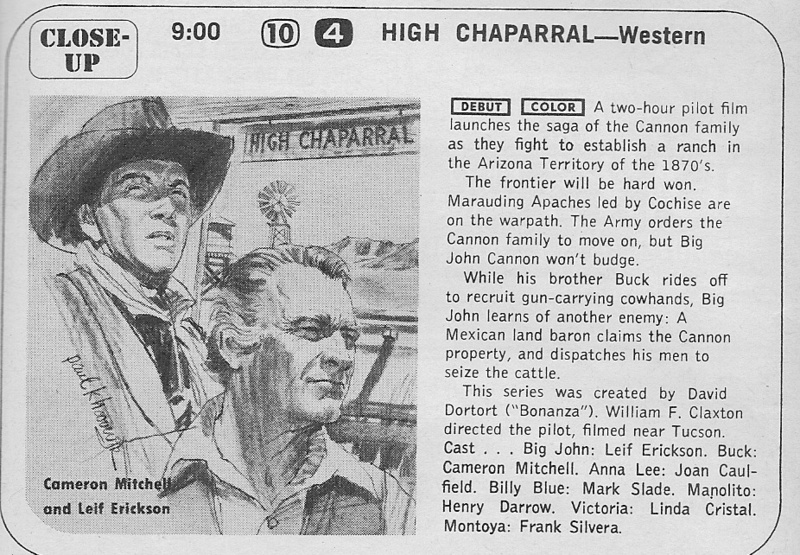 What happened to The High Chaparral between the first two-hour episode and the following one-hour one shouldn’t have. Among other things, John had turned on Victoria; Victoria had turned on John, her brother and Mrs. Cannon No. 1; Blue had turned on everybody; and if you didn’t turn it off, we miss our guess. In the most unbelievable scene we’ve seen this year, Victoria went mooning around reading the dead wife’s diary and saying, “Well, Annalee, you were not a goddess after all – just a silly woman like me.” And, to add to her misery, she was plagued with the return of an old beau from England (Patrick Horgan). He arrived complete with Champaign, which he carried wrapped in wet burlap. It was, he explained, a trick he had learned in England. The third episode was better, but it would have been thin for a half-hour show, let alone an hour. This time Blue has to go out all by himself and cut down some strung-up Apache prisoners – with everyone else just looking at him, and very little background music. And if at the end Blue goes back to blubbering and Gee-Pawing all over the place, you can hardly blame him. After all, he had to carry the whole episode – and with no wet burlap either. Rio and Hoot in The Morning Show” is one of the most listened-to morning shows in the Mendocino area on The Skunk FM airing simultaneously worldwide on the internet at www.theskunkfm.com The station’s General Manager and morning show co-host Hoot Hooten said, "Susan has what it takes to make for a fun, playful and thoughtful co-host. The addition of such a well-known and respected entertainment guru will further resonate with and excite our entertainment-savvy listeners. 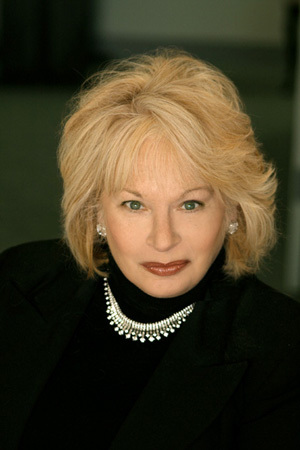 Susan’s passion and energy for radio and all of the entertainment industry is undeniable and we can't wait to have her join us. She has great chemistry with Rio and myself which will definitely entertain and engage listeners every morning." A free sample of Lightning in the Bottle is now available via Kindle on Amazon.com. Henry Darrow celebrates his 79th birthday with a book signing and talk at the AUTRY CENTER OF THE AMERICAN WEST in Los Angeles, California. 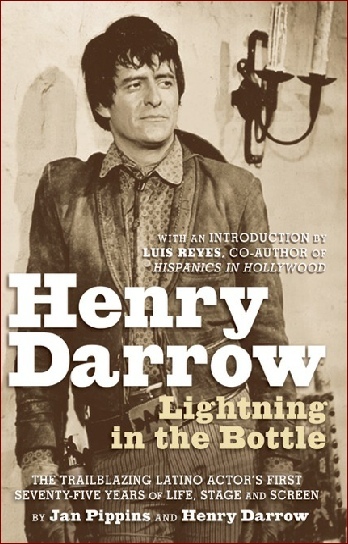 Copies of Henry’s biography, “Henry Darrow:Lightning in the Bottle” will be available at the signing for purchase. Check out the new redesign at www.henrydarrowbook.com - new information, videos and photos. The Wilmington Newspaper carried a nice article on Henry and the upcoming INSP High Chaparral addition to the line-up. French journalist Jean Luc Vandiste sent a link to an online interview. For the latest Henry Darrow and Lightning sightings, keep in touch on Facebook - Henry Darrow Friends.